We are a specialist First and Second Mortgage Adviser. Trust us to find the right solution for you. 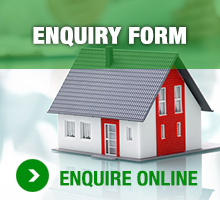 we can help you find a suitable mortgage solution. The Select Partnership is a specialist in helping customers who have experienced financial difficulties in the past, or who don’t meet certain criteria of many high street lenders, to obtain a mortgage or second charge mortgage loan. Bad credit, sometimes called adverse credit or poor credit, can be as simple as missed payments on your credit card or something more serious like County Court Judgements (CCJs), defaults, an Individual Voluntary Arrangement (IVA), bankruptcy or missed mortgage payments. 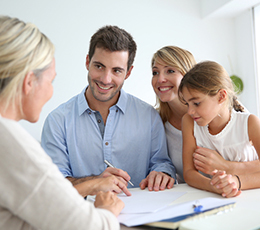 We have a wealth of experience and special arrangements with a number of well known mortgage lenders. If you are worried that your past financial difficulties might affect your chances of obtaining a mortgage or second charge mortgage loan, contact us now. We know how difficult and sensitive financial issues are and we will answer all your questions, by telephone or email, in a discreet and confidential manner. Using our service will also save you any potential embarrassment of a personal interview with a prospective lender. Let us help you find the mortgage you are looking for. The headings below are some of the areas lenders consider when you apply for a mortgage, although different lenders may place more importance on one area than others. Some mortgage lenders even use a credit scoring system which awards points in various areas and a minimum score must be reached to be accepted. In the current mortgage climate some mortgage lenders may lend up to a maximum of 95% of a property value, although this will vary depending on your individual circumstances, including your credit history. Deposits can be accepted from a variety of sources and don’t always have to come from your own savings, although they will normally need to be evidenced. So, for instance, if you have a family member who is willing to help, you may be able to improve your chances of being accepted. Lenders will often accept income from a variety of sources such as employment, self-employment, pension, tax-credit etc. but they have different rules in terms of what they will accept and the way they assess whether the loan is affordable to you. You will always need to prove your income. All lenders will take into account your payment history, for example whether you have kept up repayments on a mortgage, loans and credit cards, or whether you have entered an IVA or been made bankrupt. Of course we will need to make sure that you can afford your repayments in the future but, just because you have missed payments in the past, it doesn’t mean you can’t get a mortgage in the future. The mortgage lender will need a valuation of the house you are buying or wish to remortgage. This is because they will lend you money (the mortgage) based on the value of the property and they have to be sure it is worth what it is claimed to be worth. If for any reason you do not keep up your payments they may repossess the property and sell it to get their money back. We have tried to describe the four main areas that mortgage lenders consider when assessing your mortgage application. In short there are a number of things which could affect your chances of getting a mortgage. Sometimes the more times you apply the harder it can get because lenders will get to know about other applications you have made. If you are having difficulty it is often best to get professional advice.